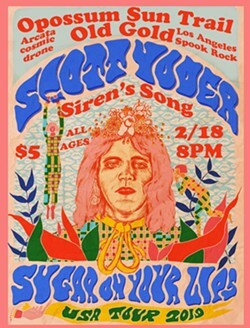 Scott Yoder (ex-Pharmacy) brings back old school glam Bowie meets NY Dolls crooning glam once again to the Siren's Song! This time around he will be joined by Old Gold of LA. OLD GOLD DELIVERS POP GEMS THROUGH GRITTY FILTERS THAT BRING TO MIND EARLY ROCK AND ROLL, GLAM, GOTH AND PUNK ROCK! 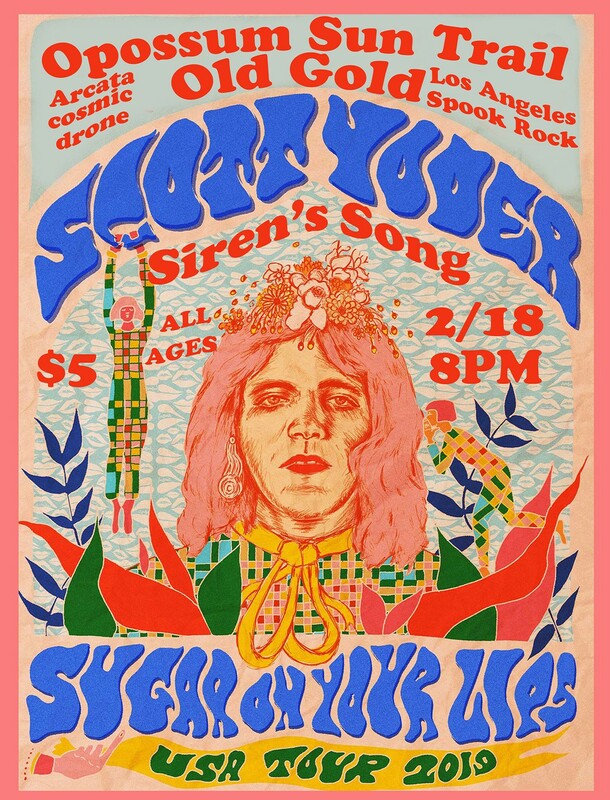 Also on the bill are local heavy hitters Oppossum Sun Trail and their brand of Acid Mother Temple infused droning psych rock! 3 great bands $5! All ages!!! It's a Monday night so this show doors at 8 music starts by 830!